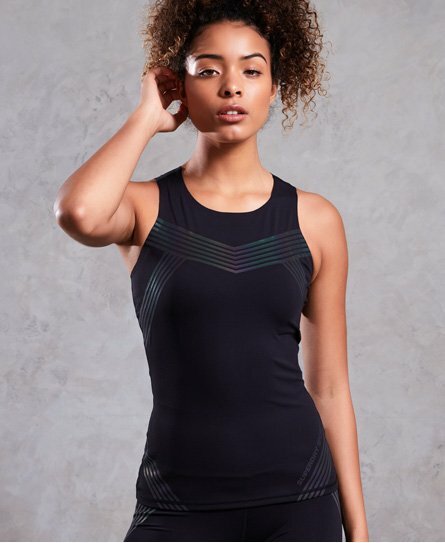 Superdry women’s Performance vest. Combining style with performance, this vest is the addition you need to your workout wardrobe. The Performance vest has been designed with your comfort in mind, featuring flat lock seams and four way stretch compression fabric to help the vest move with you even in the most strenuous of workouts. The moisture wicking fabric helps keep you cool and the finishing touch of subtle reflective logo detailing helps to improve visibility in low light.